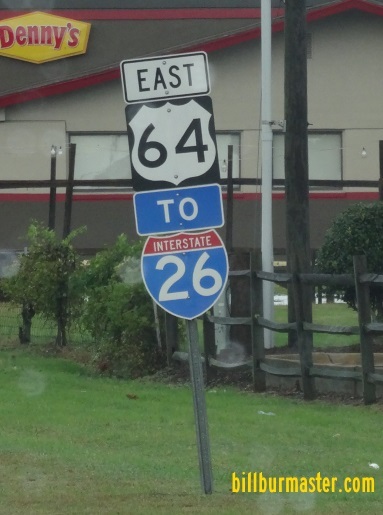 U.S. Federal Route 64 runs east-west across Central Henderson County. It goes from the Transylvania/Henderson County Line, near Pisgah Forest, to the Henderson/Rutherford County Line, near Lake Lure. U.S. Rt. 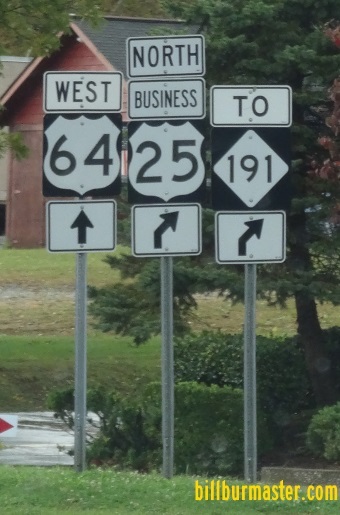 64 passes through the following towns in Henderson County. U.S. Rt. 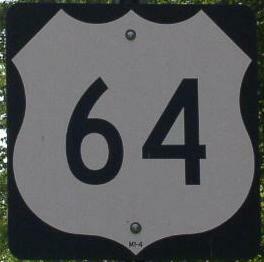 64 is multi-plexed in Henderson County. U.S. Rt. 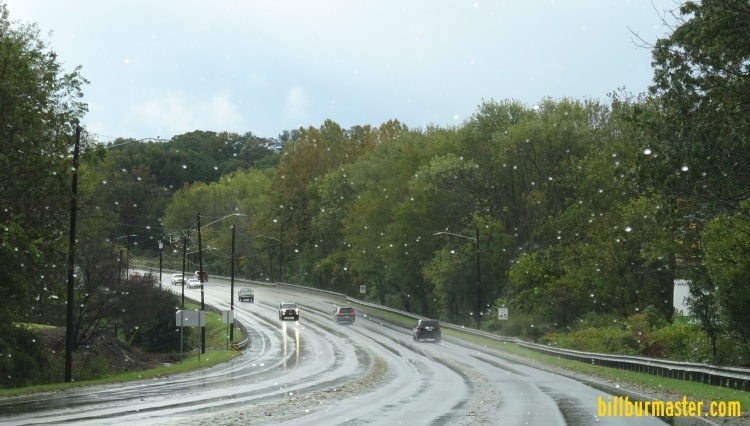 74A, from near Bat Cave to the Henderson/Ruterhford County Line. North Carolina State Route 9, from near Bat Cave to the Henderson/Rutherford County Line. U.S. Rt. 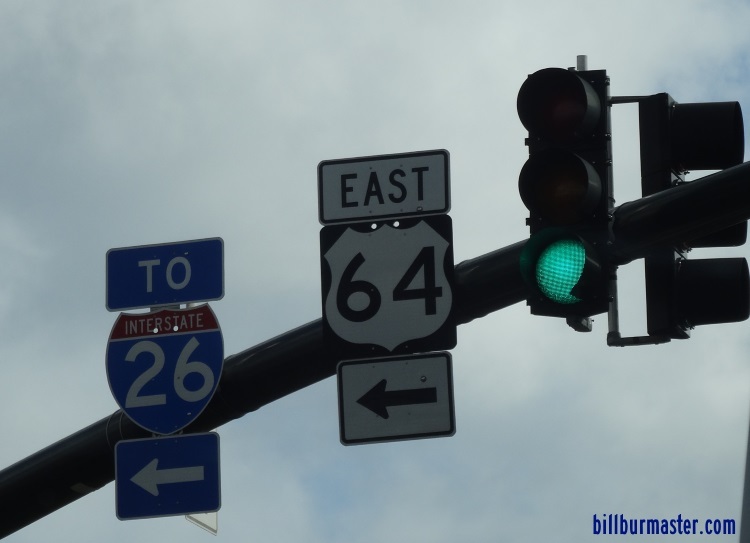 64 intersects the following highways in Henderson County. BUSN U.S. Rt. 25, at Hendersonville. U.S. Rt. 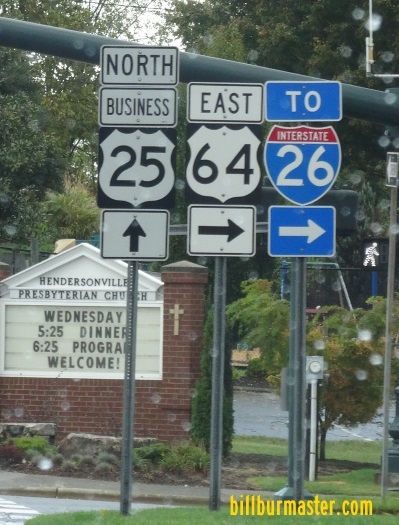 25, at Hendersonville. U.S. Rt. 74, at Hendersonville. U.S. Rt. 74A, near Bat Cave. North Carolina State Route 9, near Bat Cave. WB U.S. Rt. 64 at Downtown Hendersonville. EB U.S. Rt. 64 east of Harris St in Hendersonville. A guide marker in Hendersonville.